ZTE Blade Q Pro (T320). Network Unlock Code. How to unlock ZTE Blade Q Pro (T320) by code? Unlocking ZTE Blade Q Pro (T320) by code is very easy, it is also safest and non-invasive method of unlocking your phone. 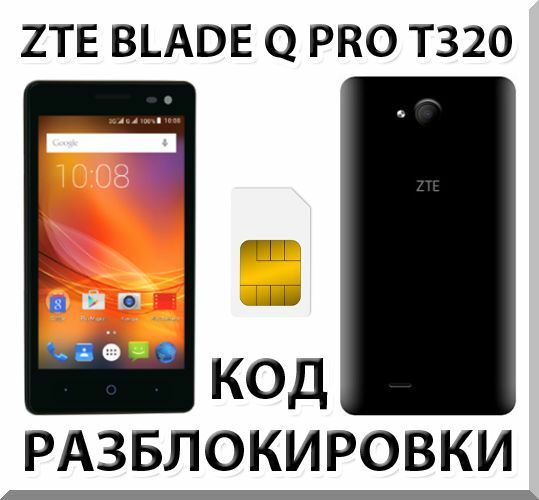 To get code for unlock ZTE Blade Q Pro (T320) you need to provide IMEI number of your ZTE Blade Q Pro (T320). Type on keyboard *#06# or remove battery from Your ZTE Blade Q Pro (T320) to check IMEI number. IMEI is written on the information label under battery (it´s a 15 digit number). This code will only work with ZTE Blade Q Pro (T320), it won´t work with other phone models. Unlocking the tablet MTS 1078. Code.